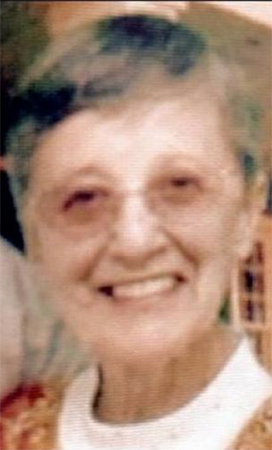 Rosella Davis, 83, of Greenfield Twp., died Saturday at Carbondale Nursing Home. She was the widow of Joseph Davis. Born in Greenfield Twp. on Nov. 18, 1931, daughter of the late Walter and Helen Urda Danilo, she was a member of St. John's Russian Orthodox Cathedral, Mayfield. She was a graduate of Fell High School and Bloomsburg College, where she earned her teaching degree. She worked for the Department of Defense as a teacher at many locations around the world and she was a retired elementary teacher from the Mountain View School District. Through her gift of teaching, she made a big impression on many lives. Surviving are two nephews, Tim and William Davis; her caregivers, Helen and Bob Lyman; and cousins, including Eileen Dance and Paul Urda. She was also preceded in death by a sister, Valentina Danilo. The family would like to thank the staff of the Carbondale Nursing Home and all the doctors who took care of her through the difficult years and Theresa, the PA. The funeral will be Tuesday with Requiem services at 9:30 a.m. in St. John's Russian Orthodox Cathedral, Mayfield, with the Very Rev. Mitred Archpriest John Sorochka officiating. Interment, St. John's R.O. Cemetery. Friends may call today, 4 to 7 p.m., at the Ryczak-Harrison Funeral Home Inc., 901 Lackawanna Ave., Mayfield. Parastas will be at 6:30 and transfer to the church at 7.